This latest disc from the Scottish chamber ensemble Mr McFall's Chamber on the Delphian label, ranges widely across music, mainly contemporary, from countries ranging round the Baltic with an eclectic mix of music by Olli Mustonen, Zita Bruzaite, Aulis Sallinen, Erkki-Sven Tuur, Kalevi Aho, Peteris Vasks, Toivo Karki, Sibelius, and Unto Mononen, with styles ranging from the spareness of Arvo Part to the intriguing genre of Finnish tango! Mr McFall's Chamber consist of Cyril Garac and Robert McFall (violins), Brian Schiele (viola), Su-a Lee (cello and musical saw), Rick Stanley (double bass), Maria Martinova (piano) and the items on the disc are all played by a flexible mixture of the performers from solo piano to the full ensemble. The disc opens with Toccata by Finnish composer Olli Mustonen. Though called Toccata the work is in fact rather more varied and complex than the title suggest. It starts with the strings playing rather 19th century sounding material, but the advent of the piano brings the music into the 20th century and it becomes quite atmospheric, and not a little neurotic at times. Bangos by Lithuanian composer Zita Bruzaite (the title means Waves) is a work for solo piano played by Maria Martinova, and is notable for the flowing, rippling movement of the music which constantly moves forward, undulating fluidly and never stopping. Introduction and Tango Overture by Aulis Sallinen (born 1935) introduces us to the intriguing world of Finnish tango. Sallinen's piece, scored for piano quintet, builds on the tradition of tango introduced into Finnish music in the 1930's and given a distinctively Northern melancholy twist. This is a large scale, multi-sectional work. It opens with a strongly structured piano combining with lyric string writing to create something strong, vibrant and rather intriguing which ultimately leads to Sallinen's concluding, and slightly ambiguous, tango. Erkki-Sven Tuur (born 1959) is Estonian, and his Dedication for cello and piano (played by Su-a Lee and Maria Martinova) is a memorial to fellow composer Kuldar Sink (1942-1995). It is a stylistically diverse piece which combines big romantic moments with edgier gestures, and the scoring includes not only harmonics on the cello but playing the strings of the piano from inside the lid. Lamento by Finnish composer Kalevi Aho (born 1949) was written in memory of the violinist Akari Laukola. It is written for two violas (Robert McFall and Brian Schiele) and the two intertwining lines have a modernist cast, but structurally there are also hints of the baroque, creating something strikingly sombre and sober. Latvian composer Peteris Vasks (born 1946) wrote Little Summer Music for violin and piano (Cyril Garac and Maria Mamrtinova) in 1985. It is a sequence of six short, highly folk-inflected movements and I rather kept coming back to Bartok's Roumanian Dances when listening to the piece. Opening with a lyric, rhapsodic movement, the second is rather haunting, the third perkily rhythmic, the fourth slow and intense, the fifth bright and vibrantly upfront and the final movement slow and rhapsodic. Arvo Part's Fur Alina for solo piano was written in 1976 for an Estonia girl living in London. After a strong chord, the work becomes spare, transparent and highly delicate. With Taysikuu (Full Moon) by Finnsh composer Toivo Karki (1915-1992) we return to Finnish tango, as Karki was in fact one of the biggest names in Finnish tango. It is certainly tango but not quite as we know it and rather appealing. 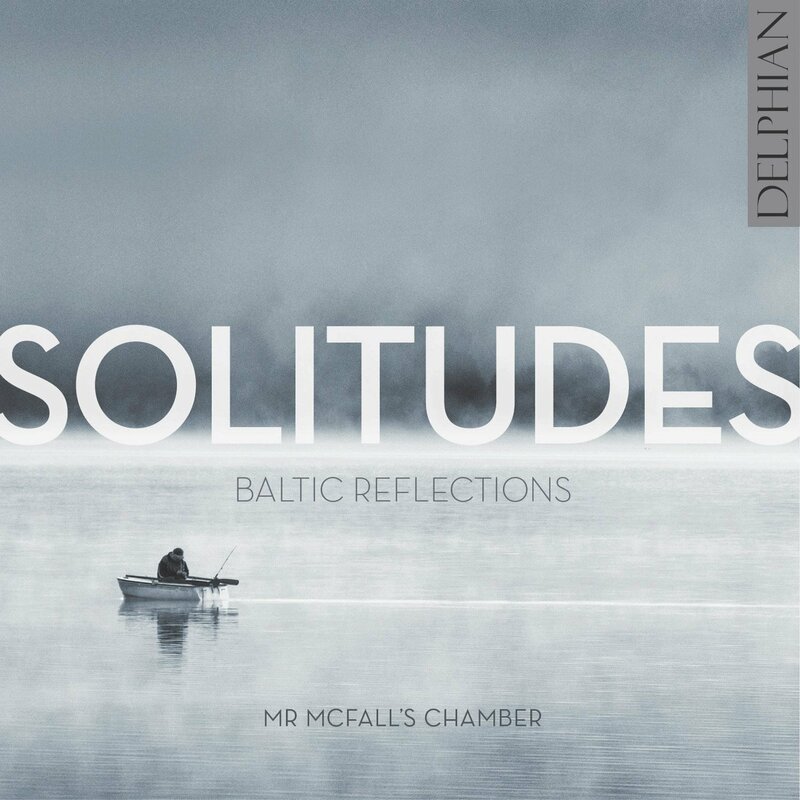 Einsames Lied (Solitude) by Sibelius from Belshazzar's Feast (arranged by Robert McFall) , incidental music written in 1906 and it is beautifully haunting. Satumaa (Fairy-tale land) by Unto Mononen (1930-1968) is another striking tango. We finish with something of a curiosity, Sibelius's Finlandia Hymn arranged by Robert McFall with cellist Su-A Lee playing the musical saw, a very distinctive sound indeed. The CD booklet has an excellent article by Ivan Moody, but rather annoyingly the works are referred to in a completely different order to the running order on the disc. This is an intriguing and imaginatively programmed disc, ranging across the Eastern Baltic to create an appealing mixture of pieces. Solitude leavened by some Finnish tango!